"I will apply (Israeli) sovereignty, but I don't distinguish between settlement blocs and isolated settlements," he said in an interview with Channel 12 television. Settlements built on land occupied by Israel in the 1967 Six-Day War are deemed illegal by the international community and their ongoing construction is seen as a major barrier to peace. Annexation could prove to be the death knell for the two-state solution. Senior Palestinian official Saeb Erekat said Netanyahu's statement on annexation was "not surprising." "Israel will continue to brazenly violate international law for as long as the international community will continue to reward Israel with impunity, particularly with the Trump administration's support," he said on Twitter. 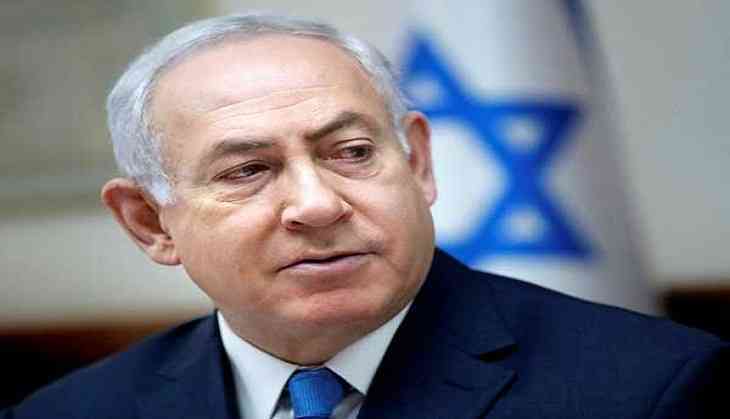 "I said there shouldn't be the removal of even one settlement" from the occupied West Bank, Netanyahu told Israel's Channel 13 television. More than 400,000 Israelis live in West Bank settlements as part of Israel's military occupation of the territory, where more than 2.5 million Palestinians live. A further 200,000 Israelis live in settlements in occupied east Jerusalem, over which Israel has already implemented full sovereignty. Washington is expected to unveil proposals for Israeli-Palestinian peace sometime after Tuesday's Israeli election in which Netanyahu is seeking a fifth term. The Israeli prime minister was asked by Channel 13 if he was familiar with the details of the US plan, replying he knew "what should be in it." Along with settlements, "our ongoing control of all the territory west of the Jordan" River was a further condition set by the Israeli premier for any US-led peace initiative. Netanyahu said he informed Trump not "even one person" would be evicted from a settlement. The US president on Saturday was cautious about the outcome of Israel's upcoming election, calling it a close race between "two good people". "How is the race going by the way? How is it, who's going to win the race? Tell me, I don't know," Trump asked the Republican Jewish Coalition in Las Vegas. "Well, it's going to be close -- I think it's going to be close. Two good people," he said, referring to Netanyahu and his rival Benny Gantz.